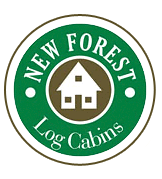 As your business develops and your needs for more accommodation grow, we at New Forest Log Cabins Ltd as specialists in the design and build of sales offices can provide a solution. 6 mtr x 3.9 mtr with 0.8mtr overhang - 70mm. With two offices, a reception area, small kitchen and secure server room or outside WC, the Ryan design is as flexible as you want to make it and at a price you wont balk at..
10mtr x 4mtr - 70mm Square Log. The round log Ryan 40 measures 10 x 4 mtr and is based on our very popular Ryan design. The internal layout is so flexible that we are building it to use as our own Sales Office. The Ryan 40 is available in three versions 70mm and 92mm square log or 150mm round log.